We were pretty stoked this year that some seriously sweet bands were playing back to back in Cincinnati where we'd be spending the holidays with family. We scored photo credentials/press list for two nights at Bogart's and got our metal on. Perfect counterbalance to all the holiday cheer. Check out our full set of pit photos from Lionize--support for Clutch--in the slide show and favorites embedded below. One of these days we'll catch them for a video interview. We were set to interview them at House of Blues Chicago a while back and they had a nasty van wreck and couldn't make the show. Thankfully they all survived and are back out there touring. We met a kid named Zero at the show who was celebrating his 8th birthday that night and he told us he was a Lionize fan. (Though his big sister had originally told him he was seeing Primus, so he was a little bummed she lied... but still stoked to see Lionize.) It was his first big rock concert ever. Happy birthday Zero. May this be the first of many sweet shows you get to see. 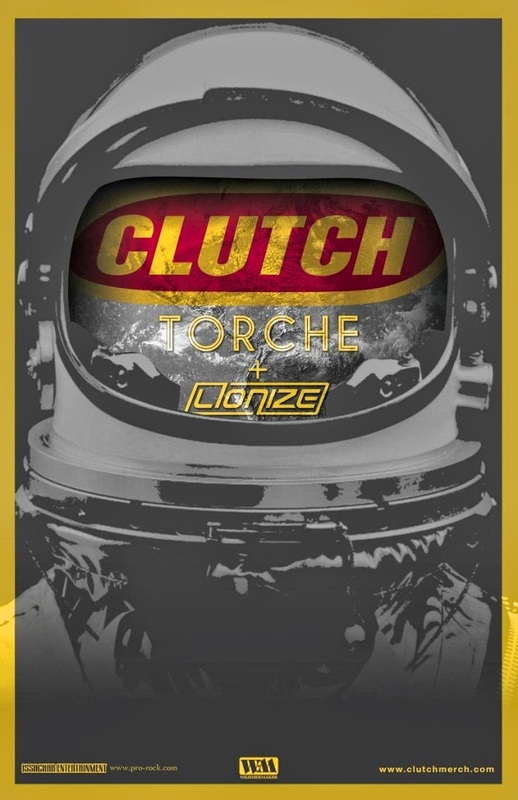 Clutch tour with support by Torche and Lionize. Lionize’s Jetpack Soundtrack was co-produced by Clutch drummer Jean-Paul Gaster and released on Clutch's own Weathermaker Records label earlier this year.